New! Vegetarian and Seafood Soups. creations for you to enjoy. Try our exotic seafood soups packed with flavour. 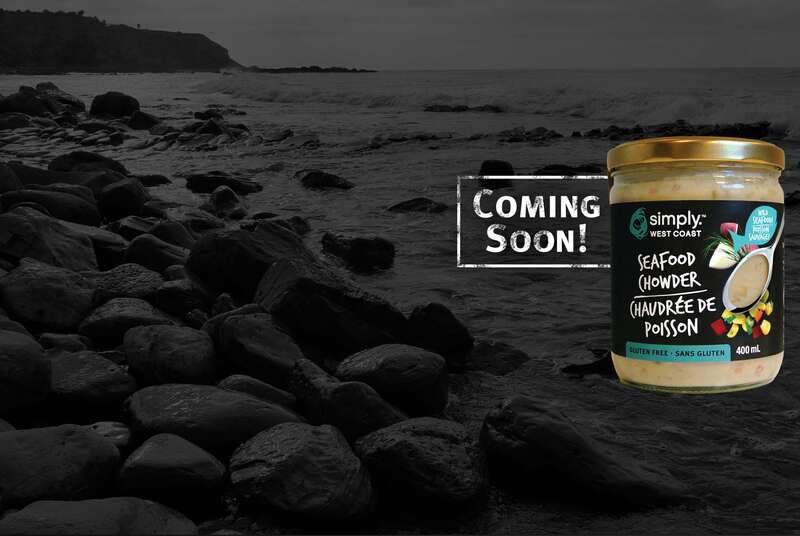 Available in a 400 mL glass jar with safety seal. 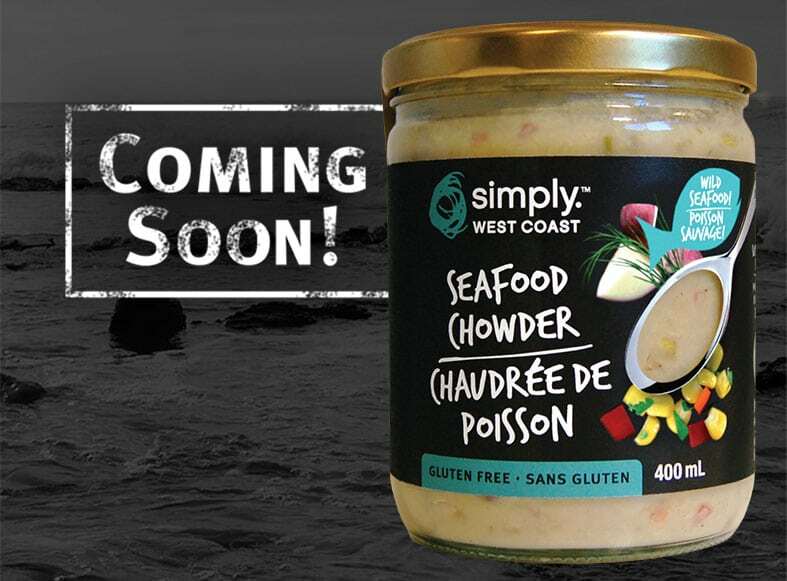 Coming soon, more seafood soups with wild sustainable seafood and a NEW line of vegetarian soups packed full of fresh ingredients! Cioppino – A Classic Italian Seafood Stew with Sockeye Salmon, Black Cod and Surf Clams. Spicy Thai Seafood Soup – Wild Albacore Tuna and fresh veggies in a coconut cream base with chili and lime. Seafood Chowder – Wild Albacore Tuna and Wild Sockeye Salmon with fresh cream and veggies.